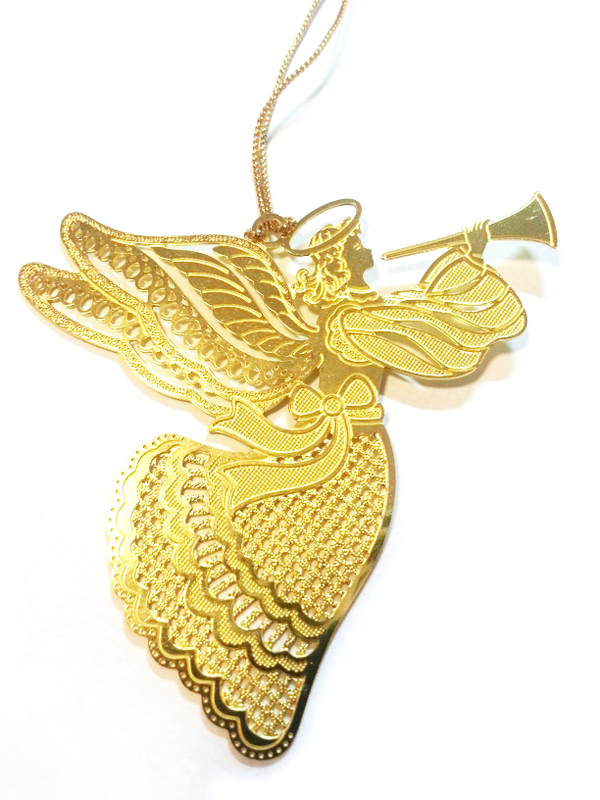 A gold filigree angel bringing you a message of peace and hope. This beautiful decoration is strung with a cotton string, which adds to the elegant simplicity of the decoration. A lovely addition to your Christmas decoration collection.